Memorise the two times tables with Lottie! 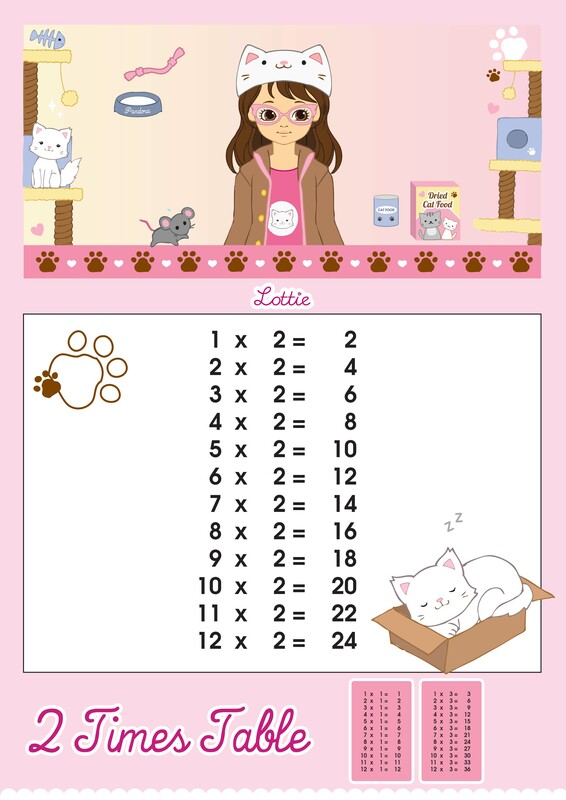 Make learning fun with the Lottie set of printable two times tables charts. Click on the ‘Download This’ button above and then press ‘save image’ to download the times tables to your computer.